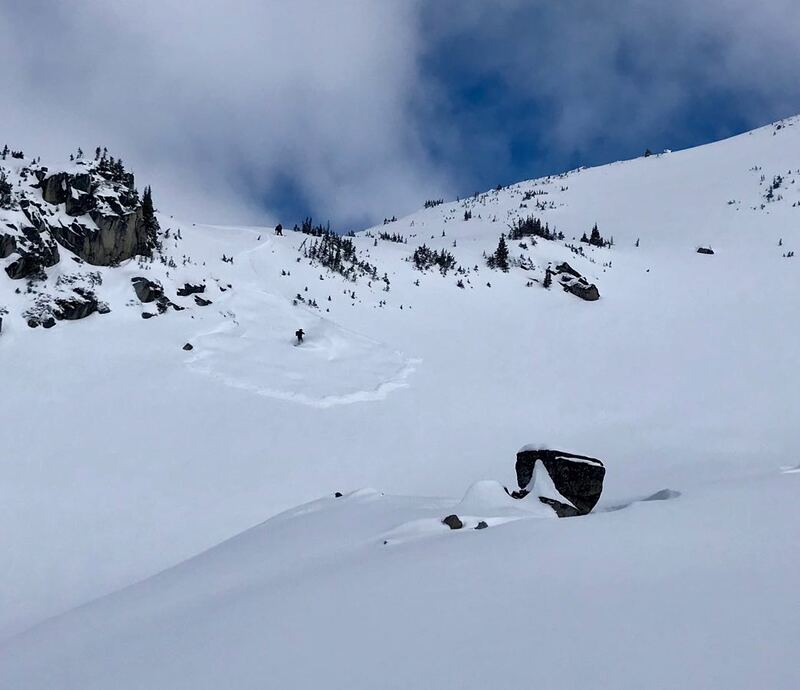 One of our group triggered a small avalanche on a steep and rocky S-facing slope at upper treeline elevation yesterday. The slab was approximately 15m wide x 15m long x 30cm deep. It released sluggishly and allowed the rider to get to the side easily. Presumably the bed surface was a buried suncrust, given the steepness and aspect of this slope. 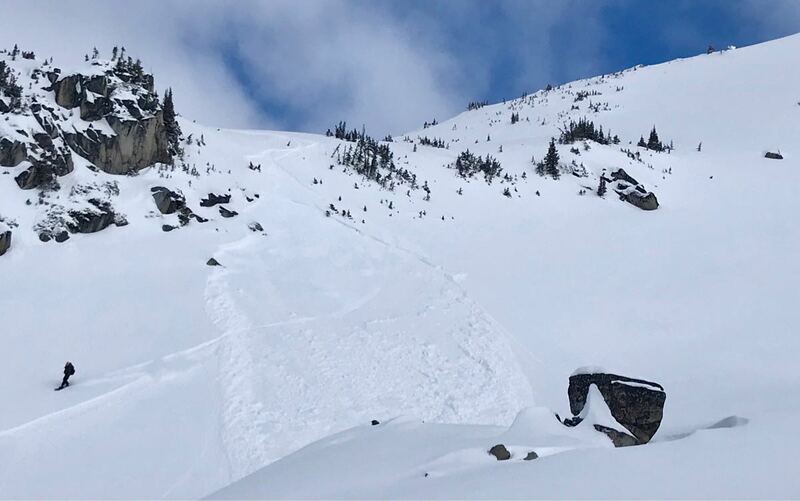 While this was a small avalanche it’s indicative of the potential in bigger terrain.